A parallel universe. South Texas. A third border wall might be erected between the United States and Mexico, narcotics are legal and there’s a new contraband on the market: filtered animals—species of animals brought back from extinction to amuse the very wealthy. Esteban Bellacosa has lived in the border town of MacArthur long enough to know to keep quiet and avoid the dangerous syndicates who make their money through trafficking. But his simple life gets complicated after a swashbuckling journalist invites him to an underground dinner at which filtered animals are served. Bellacosa soon finds himself in the middle of an increasingly perilous and surreal journey, in the course of which he encounters legends of the long-disappeared Aranaña Indian tribe and their object of worship: the mysterious Trufflepig, said to possess strange powers. 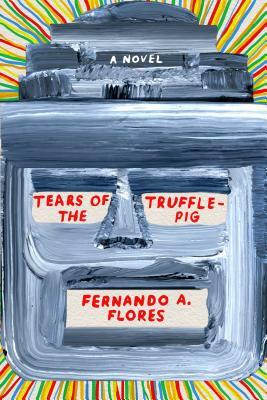 Written with infectious verve, bold imagination, and oddball humor, Fernando A. Flores’s Tears of the Trufflepig is an absurdist take on life along the border, an ode to the myths of Mexican culture, and an introduction to a staggeringly smart new voice in American fiction. Fernando A. Flores was born in Reynosa, Tamaulipas, Mexico, and grew up in South Texas. “With his striking debut novel, Fernando A. Flores has refashioned a world I thought I knew—the Valley, Texas, the strange alchemy of life on a border—into a grotesquely yet familiar fever-dream. His imagined future captures the truth of our uncanny now with frightening accuracy. Funny and tragic and ultimately compelling, Tears of the Trufflepig is a gorgeous and unsettling read.” —Manuel Gonzales, author of The Regional Office is Under Attack!